Combining a plethora of stellar female Super Heroes from the Marvel Universe, the Marvel's Women of Power two-pack combines two tables starring Ms. Marvel, Black Widow and more! 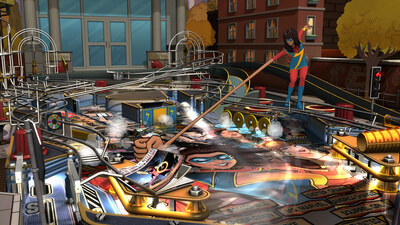 Defeat Bombshell with Ms. Marvel and friends in Champions, and wage an epic battle in an alternate reality in the A-Force table! 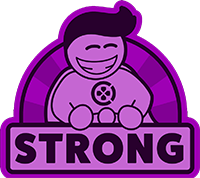 Their newest release, Marvel’s Women of Power celebrates the female superheroes in the Marvel Universe with a pair of super fun, albeit slightly confusing, tables featuring our favourite heroines. Pinball FX: Marvel’s Women of Power is a fun virtual pinball game that really celebrates the amazing female characters from this comic book universe, especially from the animation and sound effects. The graphics are great and the two pinball machines are well designed that are bursting with colours, special effects and some traditional gameplay as it helps emulate a real-world pinball machine. 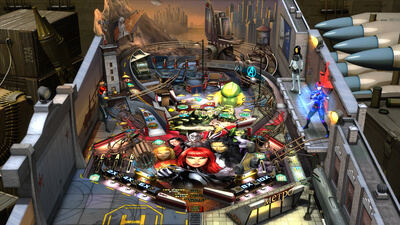 So if you’re a Marvel fan and enjoy pinball, check out Pinball FX: Marvel’s Women of Power that is now available on Xbox One. I found Champions table to be the more fun out of the two, but they’re both great options for your pinball collection! Another strong entry from the creators of Zen Pinball. I really did enjoy the Champions table, and a lot of the younger heroes featured in it, but I was blown away by the opening and the table for A-Force as well. If you enjoy pinball or the women in the Marvel universe, then there is a lot to like featured in this table. As you can tell from my Marvel’s Women of Power review, this is a must-have release.